Happy Belated St. Patrick’s Day! I did 70 burpees yesterday and I also PRed my mile run. Only one of those things made me smile. But both made me a little green. 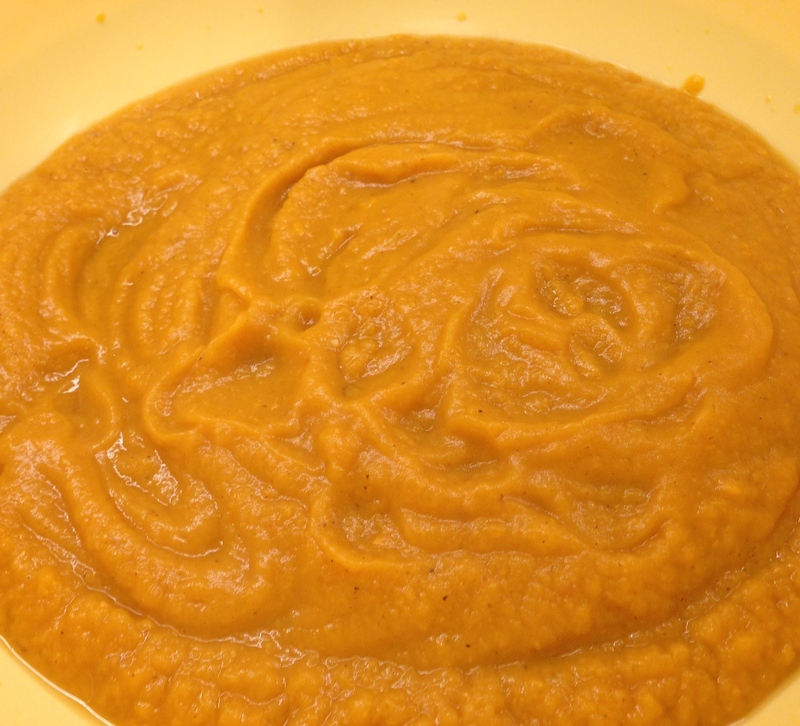 Many of you read a post of mine back in January where I decided to try making a puréed soup and failed laughably. To jog your memory, Read This. 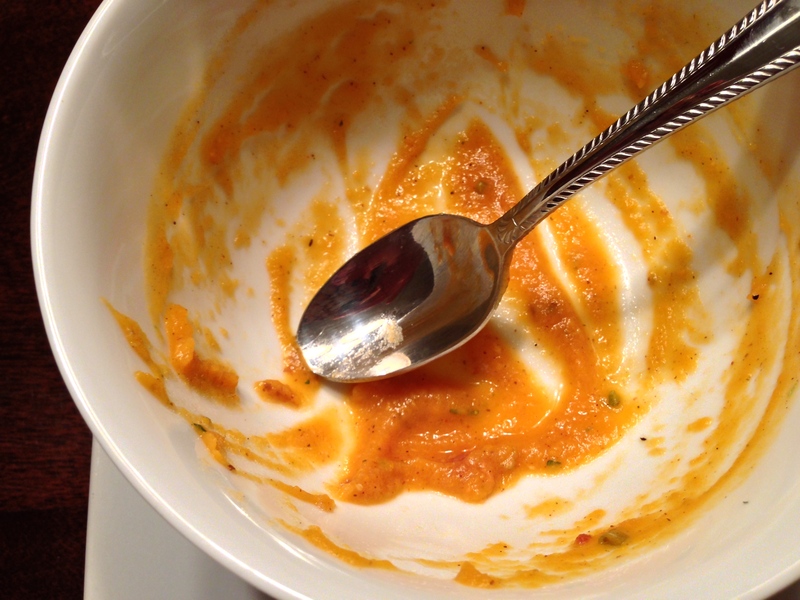 Well, my soup reputation had suffered long enough. I needed to prove to myself, my husband, and all 14 of my readers here that I COULD handle this task. So, I humbled myself to a recipe. 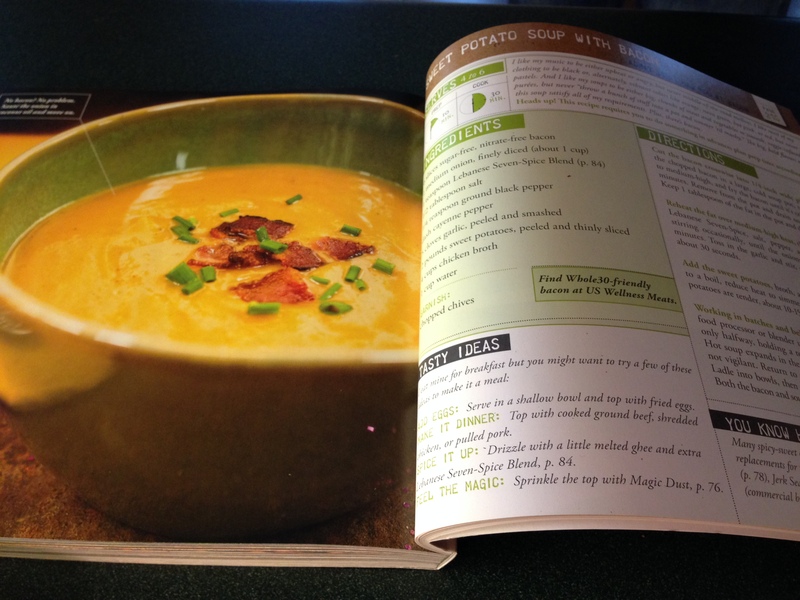 I chose this Sweet Potato and Bacon Soup Recipe in my Well Fed 2 Book. Not only is this paleo, it’s Whole 30 approved. And there’s bacon. So. What are you waiting for? 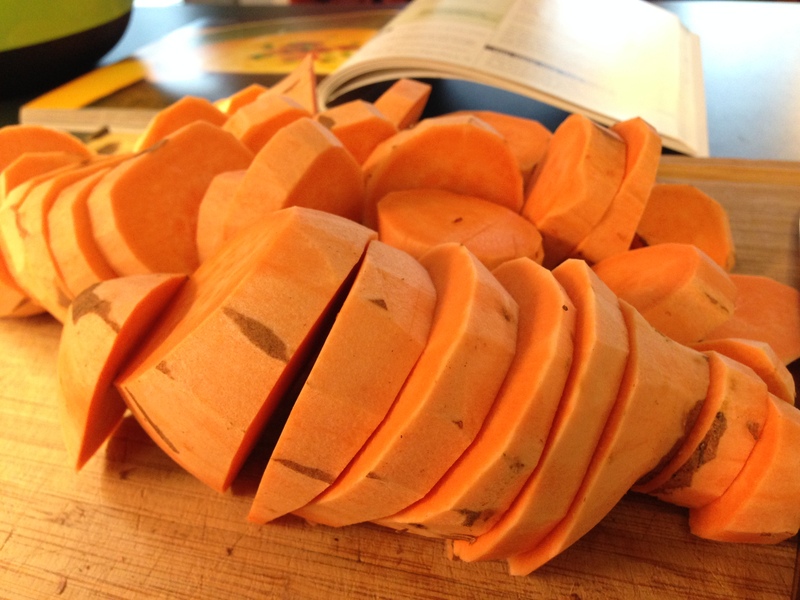 You will need sweet potatoes! 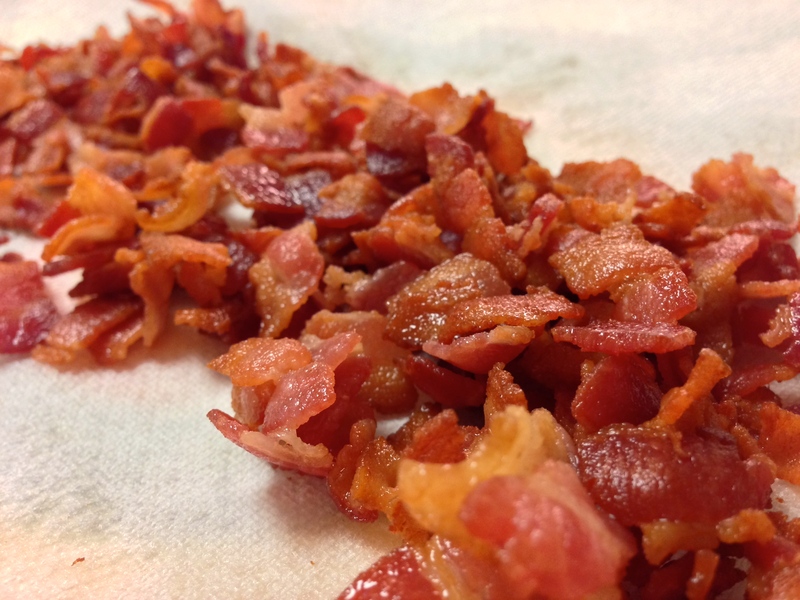 Seriously, I imagine in Heaven, someone is always making bacon and the entire place smells like it. 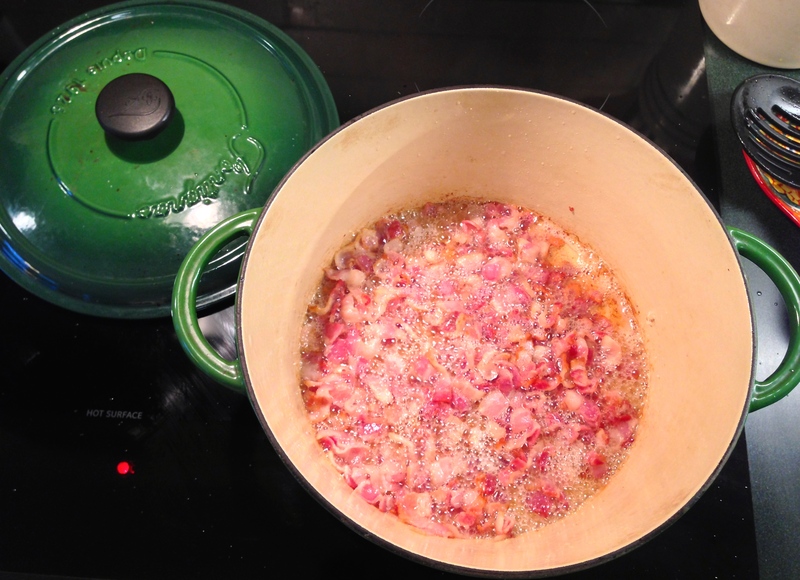 In this recipe, you’re making bacon to sprinkle on top of the soup when it’s done. The recipe calls for 6 pieces. Uhhh, maybe only if you’re bacon averse would you follow that advice. 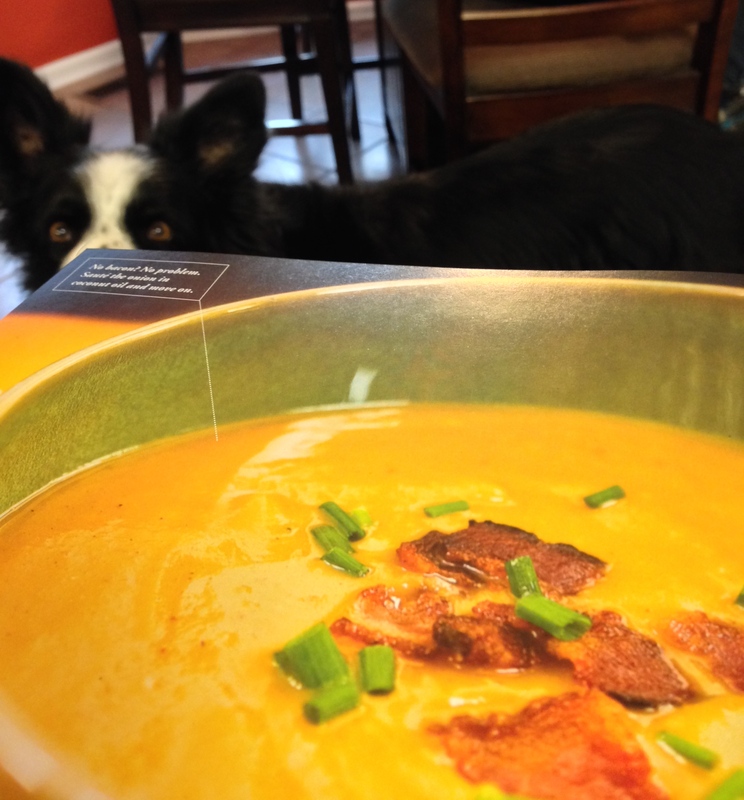 But if you’re bacon averse, it’s doubtful you would even be making this or that you are my friend. I doubled the bacon and we ate all of it in one sitting. So, perhaps quadruple? One can never make too much bacon. When it’s done cookin’, take it out and let it rest, but lock it inside of a bank vault until you’re ready for it. Otherwise, it floats up into the atmosphere or something and disappears by the time you get to needing it. 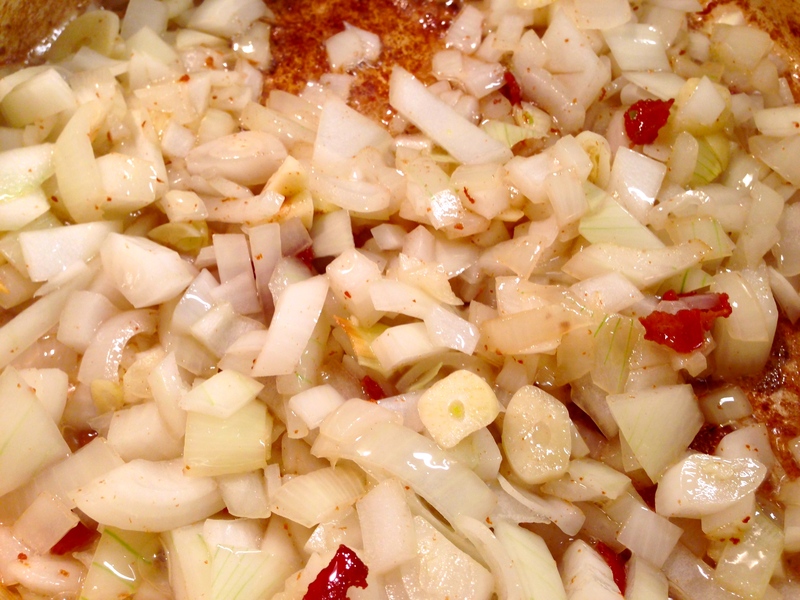 Also in Heaven, there are onions and garlic sizzling in bacon grease. I cannot wait to get to Heaven. 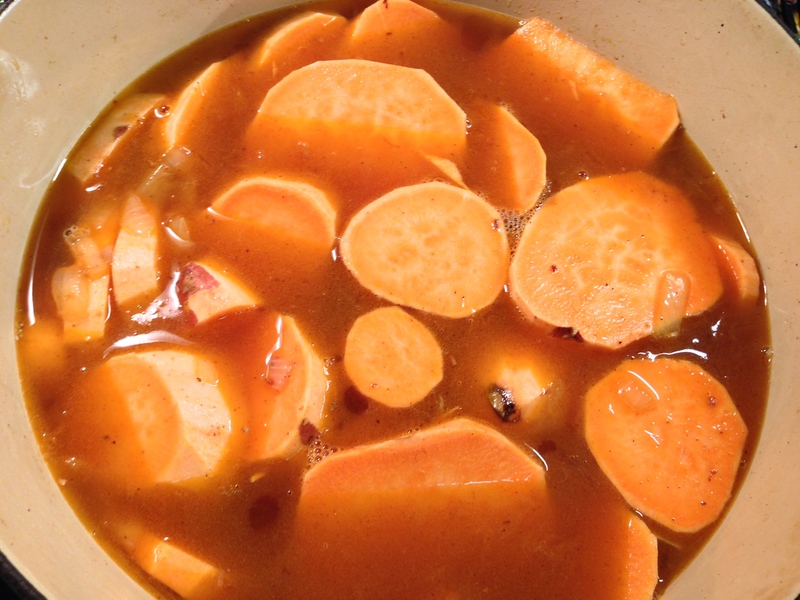 After you’ve added your seasonings, and when you can’t take the smells anymore, you’ll combine everything into the pot so the potatoes can tender themselves in some chicken stock. I wanted to swim around in it but logistically, I knew that wasn’t happening. So I just let it simmer. Okay, so at this point in the process, you need to man up and work for it just a bit. 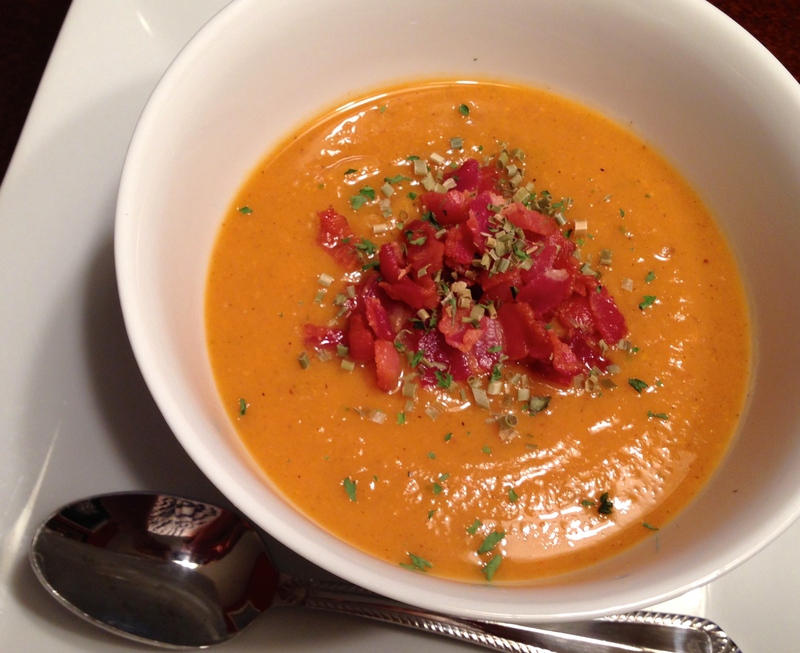 Puréed soup doesn’t just happen. It’s going to be messy, and it’s going to take patience. But mainly, it will be a little messy. So make sure you have reinforcements standing by, just in case. 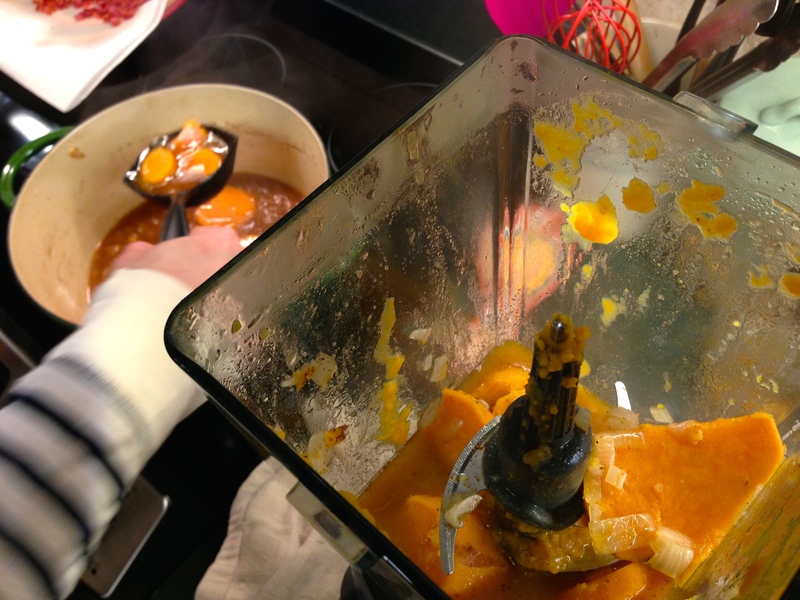 Carefully, with love in your heart, begin transferring the soup into a blender or food processor. 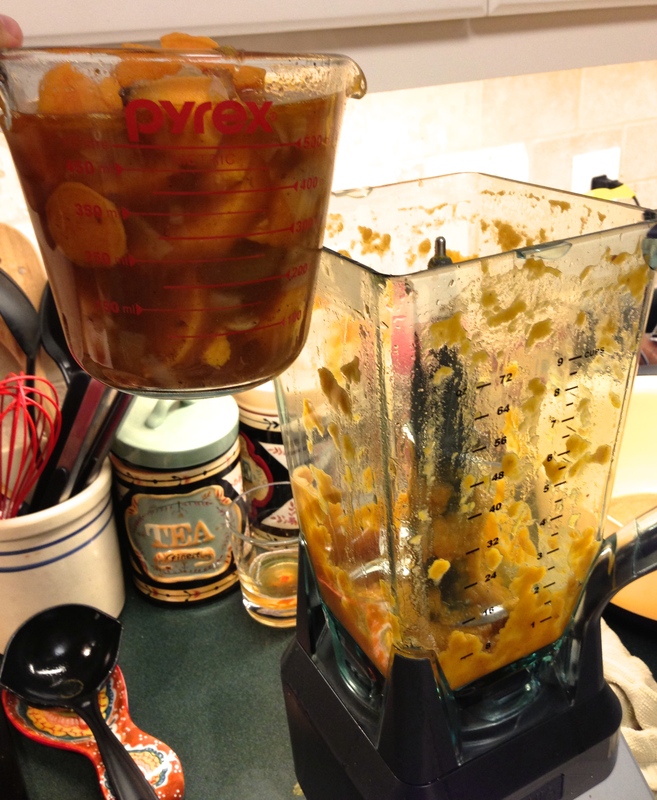 I chose my blender over the food processor because it’s less cumbersome and I knew it could do just as swell of a job. And it totally didn’t let me down. All of this mess is worth it though. It turns into the silky deliciousness you see below. (that rhymed). Seriously, my insides actually warm up just looking at it! At this point, you’re pretty much done. 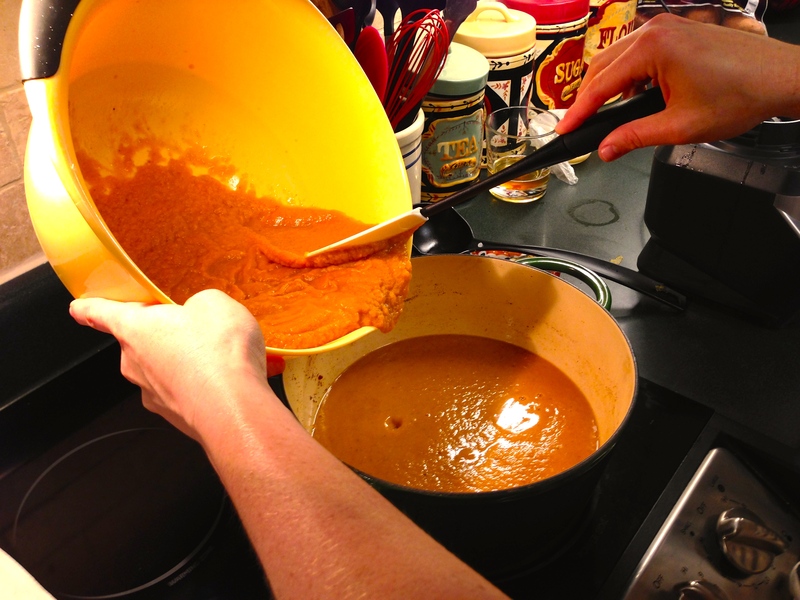 Adjust seasonings to taste once the soup is comfortably back in the pot, and then serve it up and feel right with the world. Ah. I can finally get a good night’s sleep as I’ve restored my honor amongst the advanced soup community. Victory is mine!